Use these tips to find the perfect live Christmas tree for your home! Christmas is just right around the corner! Homeowners are in the process of buying/wrapping presents, decorating their homes, and hanging Christmas lights from their roofs. If you haven’t gone out and purchased a live Christmas tree yet, what are you waiting for? You better hurry before all the best trees are gone! 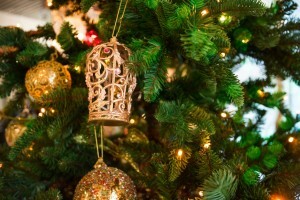 Here are some tips for selecting a stunning Christmas tree for your home this holiday season! In order to select an appropriate tree for your home, you need to determine ahead of time where it will be placed. There are a few things you will want to keep in mind when making this decision. To begin, you want to avoid areas that are near a heat source because it can easily create a fire hazard. If possible, try to avoid areas such as fireplaces, radiators, and heating vents. Also, you want to refrain from placing your live Christmas tree in areas of your home that experience a lot of traffic. This is because you want to reduce the chance of someone tripping over the lights or accidentally knocking over the tree. Before you embark on your search to find the perfect tree for your home, you must measure the space you intend to place it. You want to determine the height of the ceiling and the width of the allotted space. You will also want to factor in the size of the tree stand as well. Once you have gathered these numbers, be sure to write them down. You would be wise to take a tape measure with you when you are out looking at trees. When it comes to Christmas trees, many believe that evergreen trees are your best bet because they have relatively short needles, which makes them simple to decorate. Also, they have sturdy stems and tend to have a decent amount of space in between the branches. This is ideal for hanging heavy Christmas lights and ornaments. Here are some other types of popular Christmas trees you may want to consider as well. This is an extremely popular Christmas tree option. Homeowners love it for the bright green needles that look nice and do not fall from the tree. It also provides a home with a long-lasting scent. Do you suffer from allergies? If you do, this type of tree is an excellent option for your home because it does not produce any pollen. Also, there is no sap and virtually no scent. to find this type of tree. Due to its abundance, you shouldn’t have difficulty picking one up for a reasonable price. They have short dark green needles and also possess a pleasant aroma when they are first cut. Important safety note: Please be sure to water your tree throughout the season as a safety precaution to help prevent an accidental fire. A really dry tree will ignite quickly! We hope these tips have been helpful and wish you a joyous Holiday Season! This entry was posted on Friday, December 1st, 2017 at 12:53 pm. Both comments and pings are currently closed.